In the Mastering Social Media online course, the social media master himself, Stefan Kunz (@stefankunz) decodes the social media world for artists. Join me and Stefan as we discuss our social media journeys and what we have learned from them – so you don’t have to make the same mistakes. You will also learn the tops “dos” and "don’ts” of social media for creatives, the skills you need to outsmart any algorithm, and how to build an audience of substance with meaningful engagement. You’ll be introduced to the many ways that you can make money through your social media account and also the best way to approach and (successfully) solicit those opportunities. After this course you will know how to stand out among all the other accounts and grow your account to reach your full social media potential. Stop selling yourself short and learn the art of social media! Your skills are there, your desire is there, but there is a huge chasm between you and actually having a business. And that chasm is full of shark filled water. Does that sound familiar? It did to me too. I sucked it up and launched my business anyway...oh, and it was a huge flop. 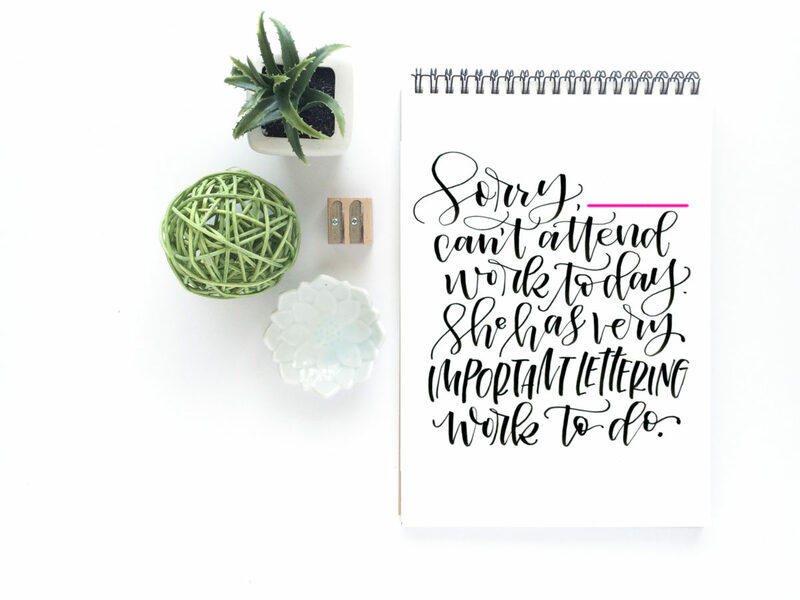 But I learned from those mistakes, put myself through business bootcamp and launched my hand lettering business. This one has allowed me to give my family extra spending money and step away from a job that had my kids in daycare and crammed for hours in the car commuting every day. Let's take the fear out of that chasm for you. With this course, we will build you a sturdy bridge that covers everything from logos, websites, marketing, social media, email lists, shipping, product creation, pricing, and so much more (customers, business planning - not the boring kind, product photography, niche marketing and more again). Rather than overwhelming you with a bunch of information in theory, we will work through a set process to have you ready with all of the decisions, photos, products, short term and long term plans that you will need and a community set to support you. Forget fear. This is happening. Sharks beware, you're on your way!